The 420 sale has ended. Thanks so much everybody! We’re proud to support the cannabis movement, even if we’re not directly part of the “other” side of cannabis! We've named our company after a woman who lived in Hellenistic Egypt nearly two thousand years ago. Her name was Hypatia of Alexandria, and she, like us, was a scientist, a philosopher, and a great observer. We made this choice not only because her training and talents resemble our own, but also because she's a symbol. She's a symbol of science. She's a symbol of truth in the face of disinformation. And she's a symbol of resistance. At Hypatia Extracts, we believe that science can be put to the public good. We believe that the stigmas against hemp products are misguided, and we believe that empowered people can make good, well-informed decisions to take control of their health. We're just beginning our journey, but we believe that our hemp extracts can make a real difference in people's lives. We invite you to include us in your own exploration of your health and wellness, and to share with us any success stories that could inspire others to do the same. Please feel free contact us at info@HypatiaExtracts.com. Learn more about Hypatia of Alexandria on Wikipedia by clicking here. Both marijuana and industrial hemp come from the cannabis sativa plant. However, their uses and contents are substantially different. Marijuana contains high levels of tetrahydrocannabinol (commonly abbreviated THC) and it's what causes psychotropic effects. Alternatively, industrial hemp contains very little in the way of THC, but does possess naturally high levels of cannabidiol (CBD) and it's what's believed to affect the body in very positive ways. CBD-infused products have been used experimentally to treat ailments ranging from epilepsy to chronic pain. Many people also use CBD products daily for general health and wellness. If you'd like to understand more about the benefits and science behind CBD hemp extract, click here. Everything we do happens in accordance with the best practices known to both the hemp industry, and to chemistry in general. 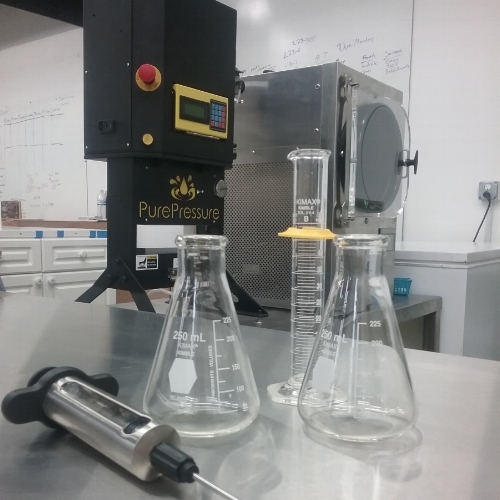 Our lab is FDA compliant and all of our products are third-party-tested to ensure as much transparency as possible. If you'd like to understand more about medical studies and research involving CBD, click here.